Donna Nook is a reserve on the North Lincolnshire coast. The seals spend much of the year out at sea and on sand banks but in late autumn they come ashore for a few weeks to have their pups. And cute little things they are too. And there are so many of them right in front of you. Despite the fact that they expect thousands of visitors at the weekends, my usual midweek visitor luck held out. This is the path you walk along, so you are protected from the seals, and them from you. There were about 100 people there whilst I was there, fairly busy in certain places, but mostly quiet. The seals make a lot of noise so not actually quiet! Some of the photographers there had huge cameras, there were students doing studies and plenty of friendly seal wardens. But mainly there were just lots of seals, doing a lot of laying around. I saw one suckling. Mum looked very contented about it. The male seals were huge and very loud when they got all shouty. The little pups said 'mum, mum, mum' and kept tapping their mums. It reminded me of Cog. They were mainly just totally cute. 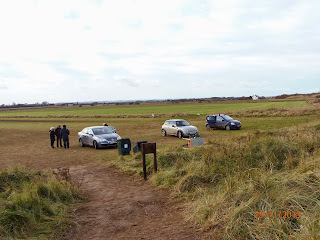 So my Donna Nook tips: Go straight to the overflow car park (if you don't need disabled access). 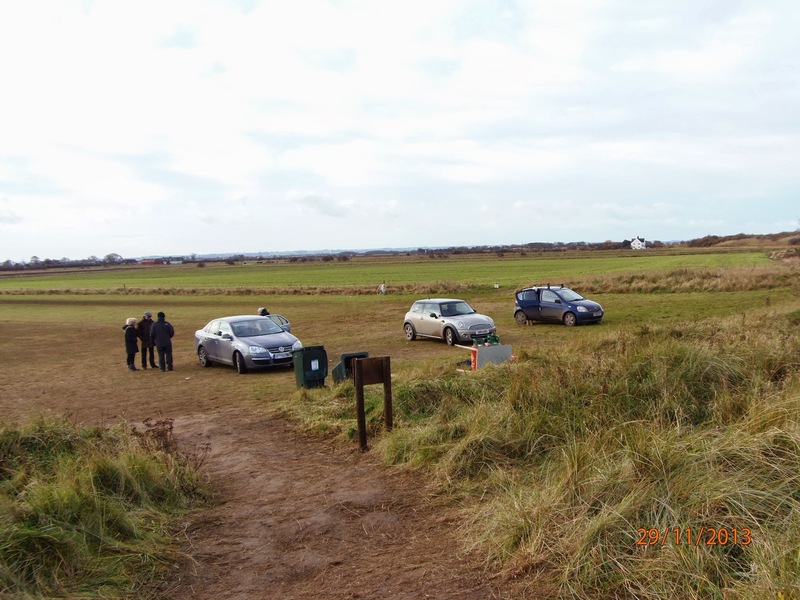 It's no further to walk to the seals, it's less muddy and there are some porta-loos there. It costs £1. The main car park is free but it was bedlam on the quiet day I went, so at the weekend I wouldn't even bother. It is also easier to get in and out of. The reserve walk way goes between the two car parks. The path is good, suitable for little children and I saw a mobility scooter on it too. There was a hot food and drink van open by the main car park entrance when I was there, reasonably priced and edible. Don't be fooled, this is a long drive from anywhere! The roads are mainly single track and muddy, give yourself plenty of time and take your time. I spent about an hour watching the seals, this isn't a day out unless you want to stand for a long time with a camera. Other top tips: Stop at the last services you can on the way for a loo break. Wear a lot of layers and a tight fitting hat, the east coast wind is bracing. A good pair of walking shoes would be good too.